We landed in Hawaii yesterday, and since our arrival I have been soaking up a lot of much needed vitamin D and enjoying some much needed relaxation. I have barely been here for 24 hours and have already seen four rainbows. 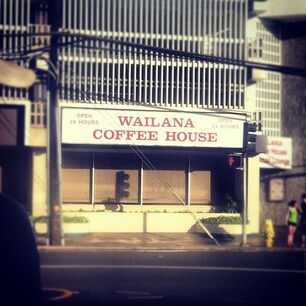 We woke up early this morning and had a delicious breakfast at the Wailana Coffee House. I enjoyed some delicious Hawaiian style muesli (with half-and-half, crushed macadamia nuts and banana slices) — along with a huge papaya half. I have fallen in love with papaya — it is irresistible with a little squeeze of lemon. My dad had the Belgian waffle and my mom had the Portuguese french toast (which was stuffed with strawberry jelly — yum!). As a coffee addict — let me tell you that the coffee here is insanely good. Super dark, rich, smooth and mellow. 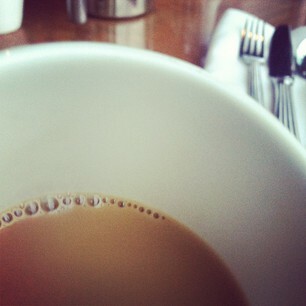 I enjoyed three cups this morning — and have been on a caffeine high all day! Wheee! 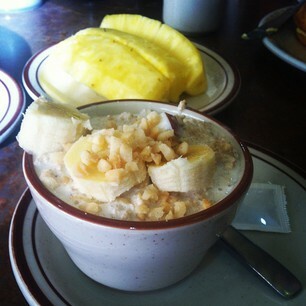 I also went for a four and a half mile run down Waikiki (so much energy thanks to that delicious, Hawaiian coffee!). It was drizzling a little bit (but still sunny). 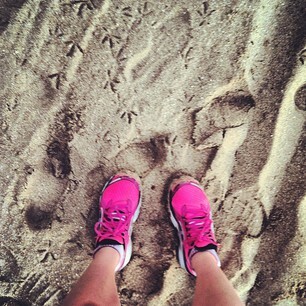 It was probably one of the most invigorating and refreshing runs of my life! 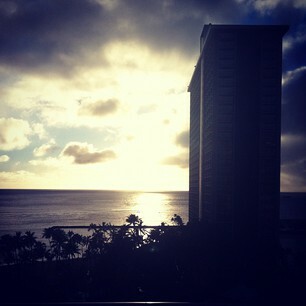 I LOVED my stay in Hawaii! It is one of my favorite places in the world. My cousins live there so I love going back! I just found your site…thru the croissants…I am mentoring a young lady in her senior year of high school and I must admit that she is truely an inspiration. And so are you. I have been cooking since I was 12….now I'm 57 and I have never tired of it.Thank You and I look forward to trying some of your recipes… Aloha!! Thank you so much Robin! That's wonderful, I don't think I will ever tire from it either! 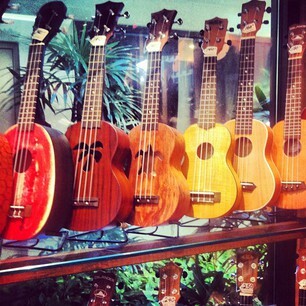 Do you live in Hawaii? 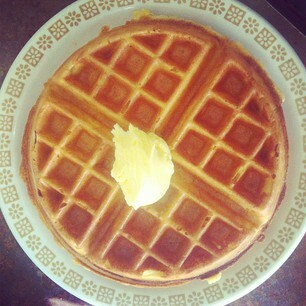 You are the reason I made it trough the school year getting to cook on weekends so i have tasty treats for my friends. Thanks!